Yoga and meditation for you, as you are, on any given day. Stretch, strengthen and relax at the level that works best for you adapting postures wot suit your body, no mater what it’s been through with you. Show your body how much you love it by bringing both movement and relaxation into your regular routine. Learn to love your body - even the bits that annoy you at times - by choosing the best level, adaptation and cushions for it each time you come along to class. Taste the flavours and mindfulness of Japanese food, from planting to digestion - yes, it goes even further than paddock to plate! Build your repertoire of simple, healthy AND delicious meals that you can share with family and friends. Become more aware of the healthfulness of different ingredients and how to prepare them. If you love the Japanese food and would like to take it further, then join me in Japan form a Mindfulness Tour. 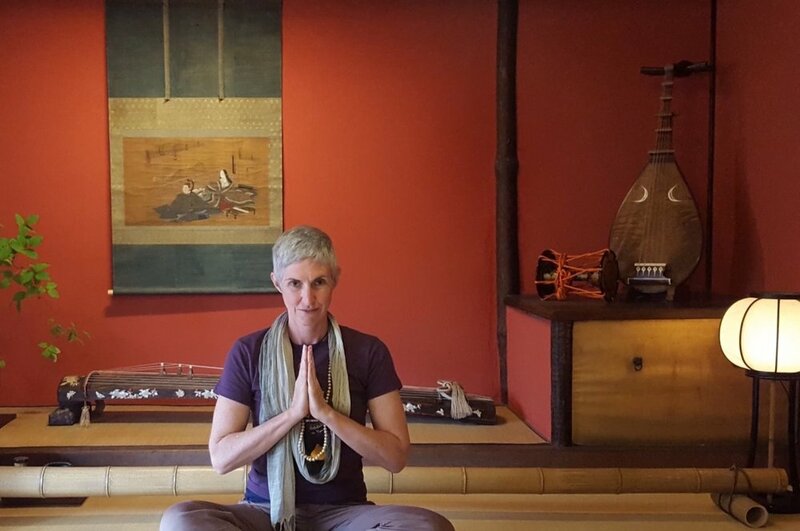 A week of traditional Japanese mindful activities, yoga, meditation, Japanese food and traditional accommodation. Hot springs, temples, a farm house and western-style hotels too.